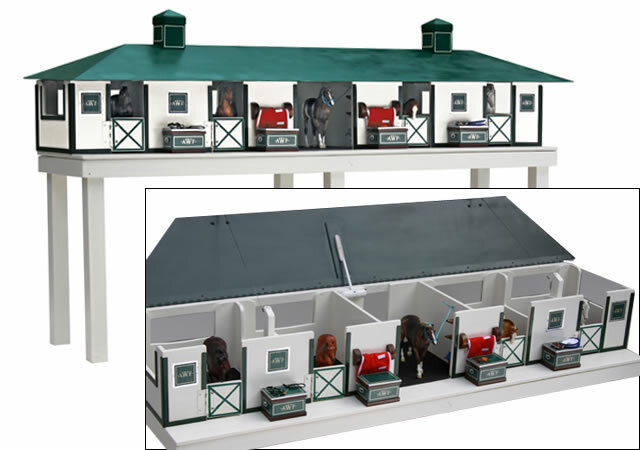 The Model Horse Barn, which comes with horses, trunks, blankets and carrots, etc. can be in your colors and initials and offers hours of fun. Through the years many people have found that the pieces we make are ideal presents. 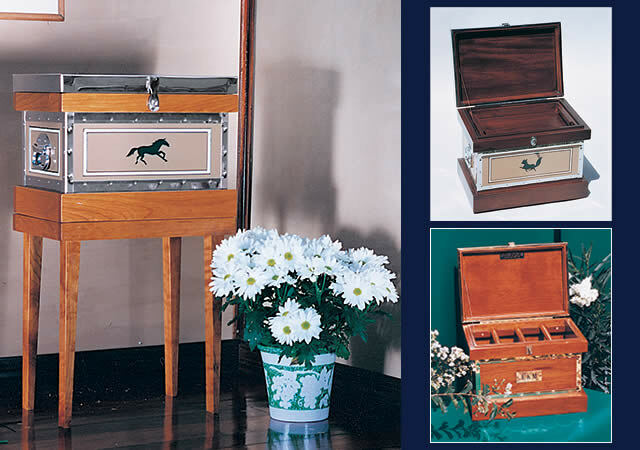 Whether the gift is a vertical, a trunk, a ring tote, a planter, something for the barn or the house, or something you design, it will be very appreciated. Presents for the holidays, graduation, wedding presents, for your trainer, barn opening all can be ordered with an included gift card. Or we can send a gift certificate. Trophies and End of the Year Awards, Ring totes, small mirror, plaques with hooks, Bit Boxes all make excellent trophies or for end of year award banquets. 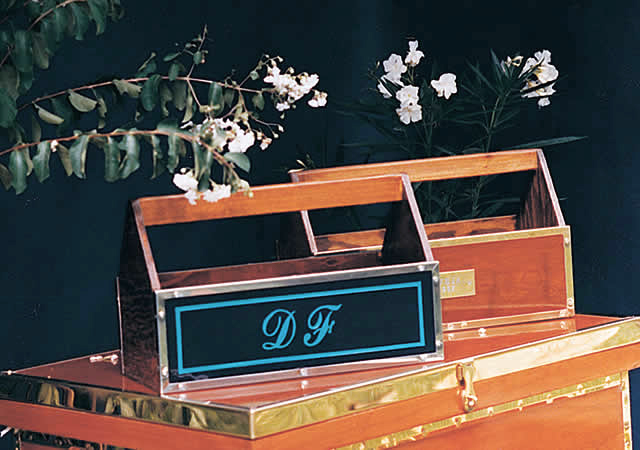 They can be in your organization's colors and logo or in wood with a plate with the name, year, division, etc. on it. Through the years many uses for the bit boxes have been found. 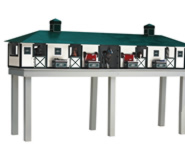 Some to to the horse shows and sit on the tackroom table to hold bits. Others live at home on their stands, making into end tables. 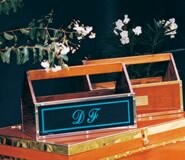 They can be empty, outfitted with bit bars, or a tray. 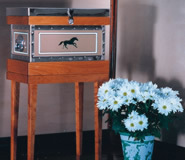 They also work well as presents and horse show associations' end of year awards. 18" long, 13" high, 12" front to back. 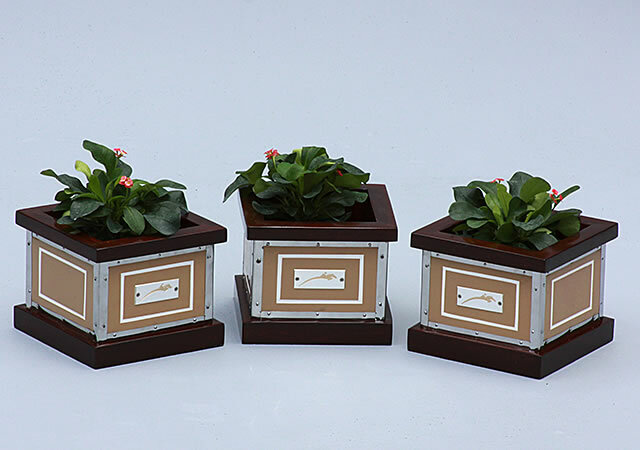 The Table Planters can be in your colors with your logo engraved on the plate. 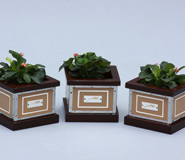 They are 6" by 6.5" and 7" tall but they can be made in any size to fit your table arrangements, etc. 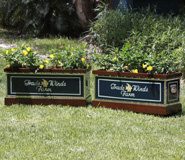 The Hedge Boxes can decorate the barn at home and on the road. 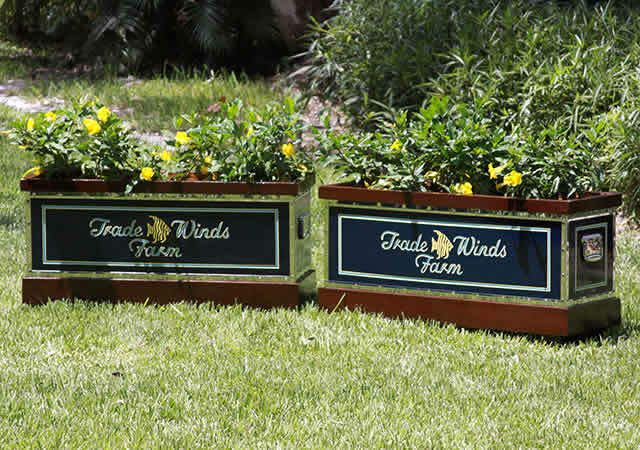 They can form a corner to frame out your horse show set up or line the front of your space with plants and flowers. They are 40" long, 18" wide and 18" tall. Copyright© 2012 McGuinn Farms, Inc.